Need a rain jacket? We’ve got you covered. If you’ve foregone practical and sensible wet weather gear because it totally didn’t vibe with your outfit before winding up on a shop corner completely doused in rain (and regret), you wouldn’t be the first. Fortunately, there’s never been more options to suit your style or any occasion, be it on route to work or kicking it in the weekend. Nor has it been more acceptable to layer, clash, and confuse your garments and come away looking “on-trend”. Not to mention the existing styling rule of ‘wearing-trainers-with-pretty-much-everything’ makes it all the more palatable to throw on a casual rain jacket, anorak or parka on top of your more chic garments – you’re already halfway there. Whether you’re looking for something athletic, an all-rounder, or something a little more out-the-gate to go with your alternative #rulebreaker complex, there’s plenty to work with here. Nike sportswear metallic women’s jacket, $190 from Nike. Eddie Anorak in bubblegum, $380 from Lonely Label. Women’s HFR 2.5L Rainshell, $179.90 from Huffer. Quilted parka with hood £49.99 (approx. $95 NZD) from Zara. Hooded Rain Mac, £49.00 (approx. $94 NZD) from Topshop. Tactical Jacket, $211.60 from P.E Nation. Rains base jacket, $149.99AUD (approx. $162 NZD) from The Iconic. Nikelab Collection Ghost Windrunner, $240 from Nike. Supré spliced lightweight windbreaker, $55 from Cotton On. 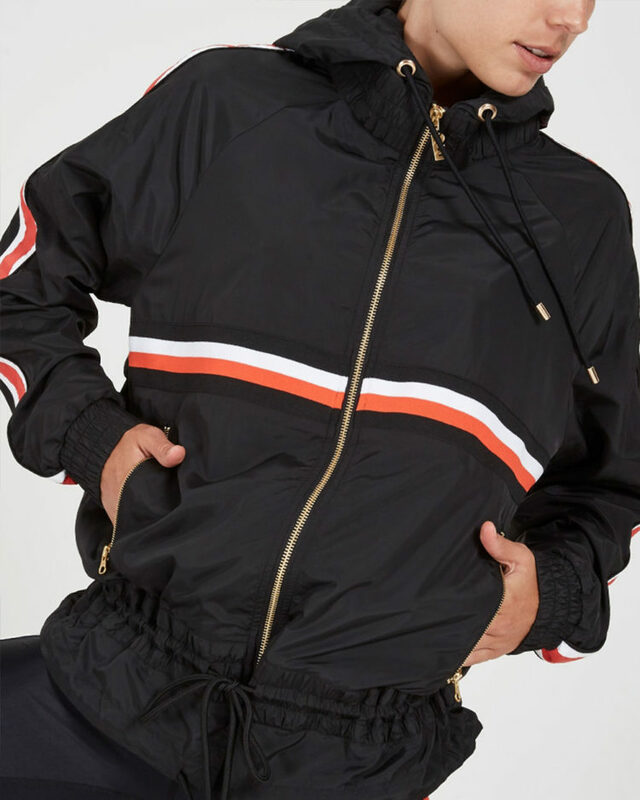 ASOS Padded Anorak in Colourblock, £55.00 (approx. $106 NZD) from Asos. Rains jacket, $149.99AUD (approx. $162 NZD) from The Iconic. Noisy May Hooded Anorak, £35.00 (approx. $68 NZD) from Asos. Rain Jacket, $199.90 from Seed Heritage.